You are at the right address if you are looking for a good wine shop in Izola. 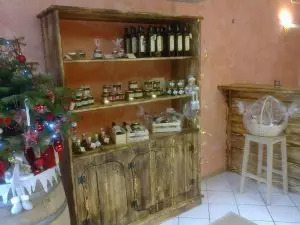 We are pleased to welcome you to our store in the center of Izola, where you can meet all the Istrian goodies from our wine cellar BOŽIČ. Our wine cellar has more than 100 years of tradition. Nowadays we combine rich experience of our ancestors with modern knowledge, so we can always keep up with the most demanding wine lovers who like to return to our good wine shop in Izola. Visit us and try them. We are happy to answer all your questions about our wines and we will make sure that we will become the only good wine shop Izola you will need.